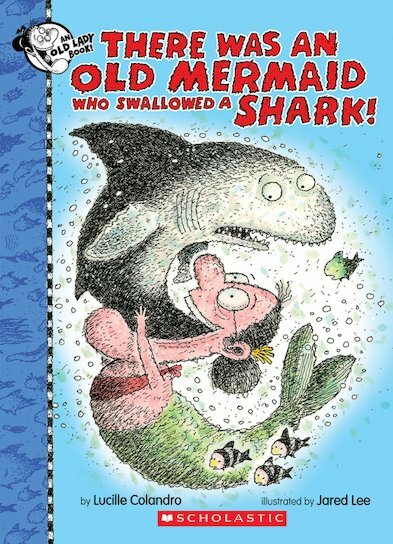 Buy There Was an Old Mermaid Who Swallowed a Shark! Use Rewards for There Was an Old Mermaid Who Swallowed a Shark! Forget swallowing flies! The hungry mermaid in this story has altogether bigger fish to fry. She’s starting out by swallowing a SHARK. So what will it be next? A squid? A whale? A boat? Or all of those things? Find out in this rhyming reader: a wacky sea-splashed twist on a rhyme you know and love. Seriously (or not so seriously): all the proof you need that reading alone can be wonderful, magical fun!